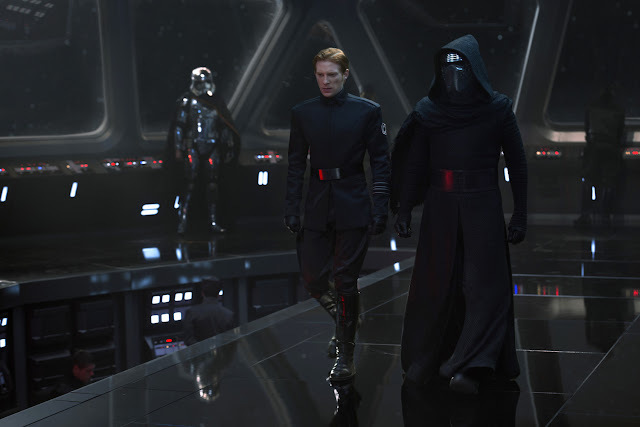 Adam Driver: J.J. Abrams had ideas very clear in his mind about the conventions that he wanted to upturn and things that grounded Kylo Ren as a character. Actually, character was something that he talked about the most. I feel like some of the movies are so heavy on special effects or visuals and lot of things get lost as far as two people talking to one another. And that was something that J.J. stressed from the beginning; it was all character, there was hardly any talk of special effects. When we first originally met and talked, it was all about grounding these people in a reality, even though it’s a long time ago in a galaxy far away. If no one cares about what’s happening or no one believes that these are people are real, then you won’t care about any of it. Domhnall Gleeson: General Hux is probably one of the bad guys, depending on your point of view. 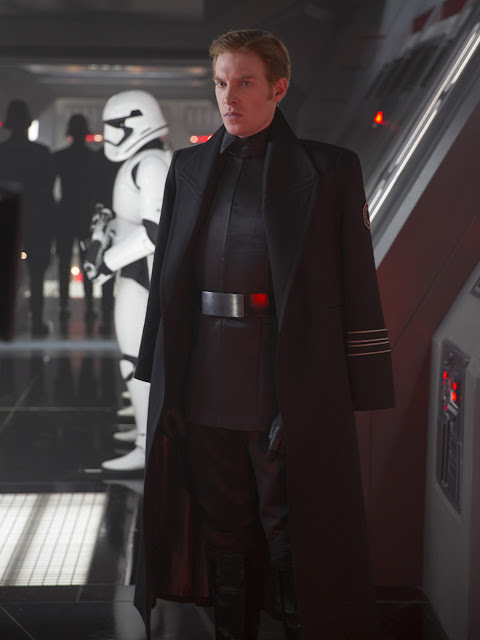 He works with Kylo Ren and General Snoke, and is in charge of the military operation. He isn’t a particularly nice fella. J.J. Abrams is a very skilled director, and he’s got this unusual combination of doing big movies in terms of scale and budget, but also working well with actors and telling real stories. All those things together are very unusual to get in the same person. A lot of people are good at one or two of those things. This is large-scale film-making that feels like a real story and isn’t just effects. There’s a real energy in the performances. They really get everyone going before a take and you’re reminded that this is “Star Wars,” and that it requires a step up. So I hope the energy will be in the right place. I hope the story will move forward in a very interesting way. So, in the same way you’d watch one of the original three and not know what’s coming next, I hope we can do that as well. 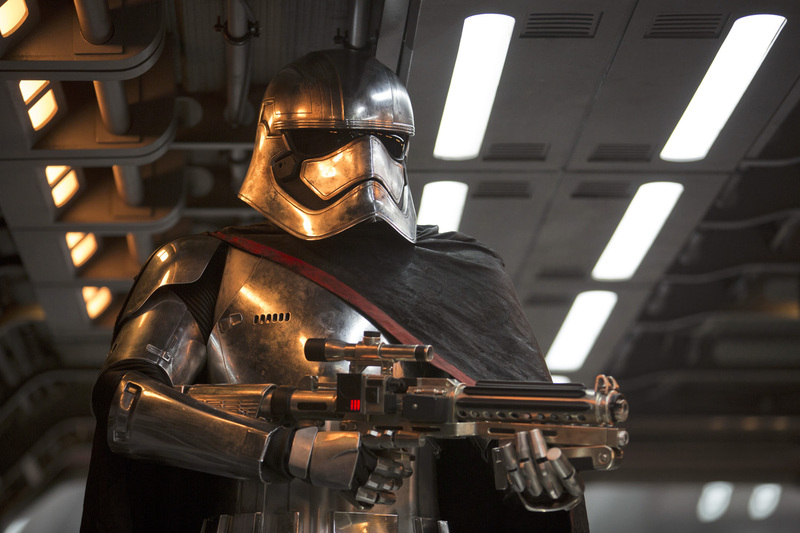 Gwendoline Christie: Captain Phasma is the captain of the Stormtroopers. She is a malevolent force. She is not a force for good and she takes particular pleasure in her cruelty. I’m absolutely thrilled to hear that Captain Phasma is the first female Stormtrooper of any rank, and of course I’m even more thrilled to be playing that part. It’s exciting that something as iconic as “Star Wars” has embraced the future and has embraced the world’s need for gender balance and female empowerment. It’s incredibly thrilling for me to be playing that part and I hope it inspires generations of women everywhere to go forward. Lucasfilm and visionary director J.J. Abrams join forces to take you back again to a galaxy far, far away as Star Wars returns to the big screen with “Star Wars: The Force Awakens". The film stars Harrison Ford, Mark Hamill, Carrie Fisher, Adam Driver, Daisy Ridley, John Boyega, Oscar Isaac, Lupita Nyong’o, Andy Serkis, Domhnall Gleeson, Anthony Daniels, Peter Mayhew and Max Von Sydow. 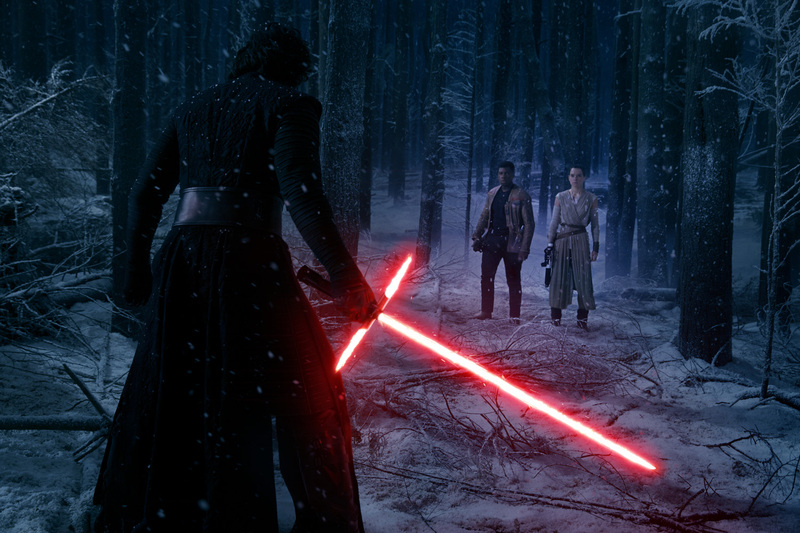 Opening across the Philippines on Thursday, Dec. 17, “Star Wars: The Force Awakens” is distributed by Walt Disney Studios Motion Pictures through Columbia Pictures.